Dubai is the most populated and the busiest city in the United Arab Emirates. The city of Dubai comprises of luxury shopping malls, towering skyscrapers, and lively nightlife. There is a heck of things one can do while staying in Dubai. The city is rich in culture, and a large number of museums and art galleries can be found that proves this statement right. 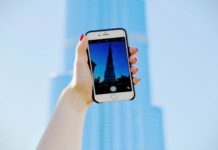 Here is the list of top places to visit during your stay in Dubai. It is regarded as one of the landmark buildings of Dubai. Moreover, it has the unique prestige of being also one of the tallest buildings in the world with a staggering height of 830 meters. 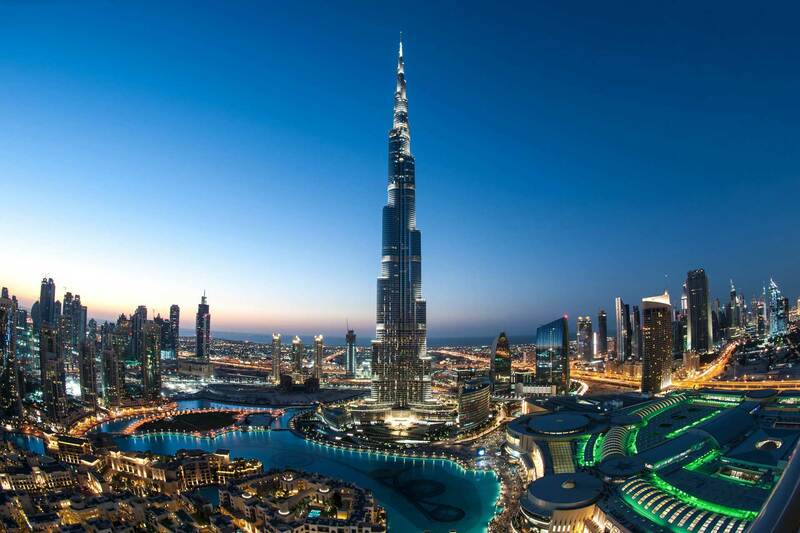 The Burj Khalifa is regarded as one of the most favored tourist spots in the city. Thousands of tourists throng this place to gasp at this marvelous piece of modern day architecture. On the other hand, for most of the visitors, the observation deck is the most attractive spot in this building. It provides a bird’s eye view of the city of Dubai. The high-speed elevator whizzes you up to the top most floor from where you will feel that you can touch the clouds. The night time visits are also popular among photographers owing to the presence of Dubai’s traditional city lights panoramas and their effects. The Burj Khalifa is surrounded by beautiful gardens that are also a perfect spot for a romantic getaway with your loved one. So don’t forget to visit this marvelous sample of architecture if you are in Dubai. 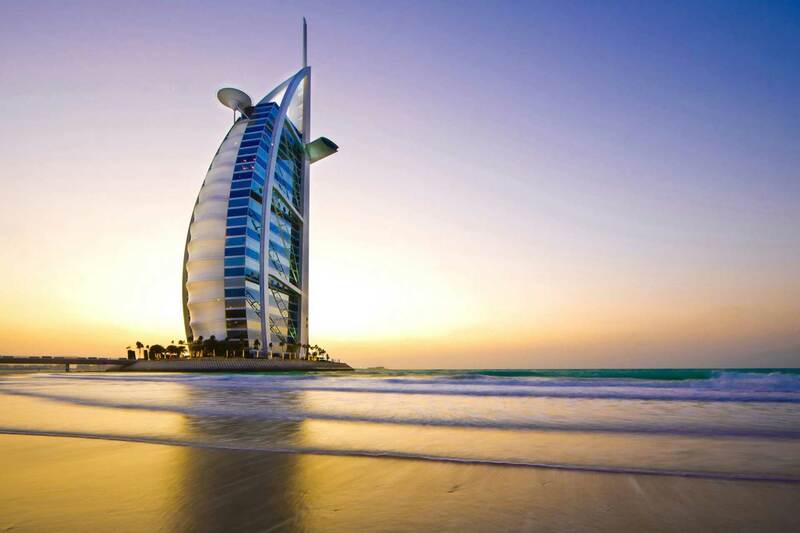 The Burj Al Arab is a luxury hotel that is located on the artificial island known as Jumeirah. It is also known as the third tallest hotel in the earth. The distinctive silhouette of the hotel’s sail-shaped structure is regarded as one of the iconic symbols in Dubai. The sail-like structure of the hotel rises 325 meters above the sea. On the other hand, the atrium of this hotel is the tallest in this earth. If you want to know about its hospitality services, then you can be guaranteed of world class care facilities that can entertain guests. You will find the exact spot to have your lunch or dinner in the underwater aquarium restaurant. Moreover, your journey to this underground aquarium restaurant will pass through a simulated voyage of the submarine. It also comprises of a helipad on the top its roof. You would be astonished to know that the cappuccino available in this hotel is sprinkled with gold dust. The Dubai Mall, one of the world’s largest shopping malls in UAE. 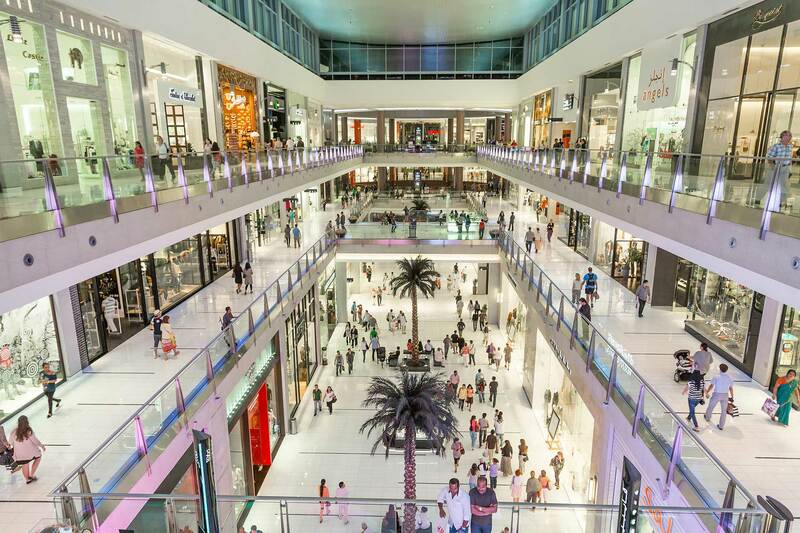 With a total internal floor area of 5.9 million sq.ft, The Dubai Mall has 3.77 million sq.ft of gross leasable space and over 1200 Shops, Underwater Zoo, Aquarium, Ice Rink, and 200+ Food and Beverage outlets. 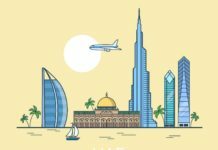 Dubai is known not only for its breathtaking skyscrapers but also for its rich culture and heritage. The presence of countless museums and art galleries further articulates this fact. 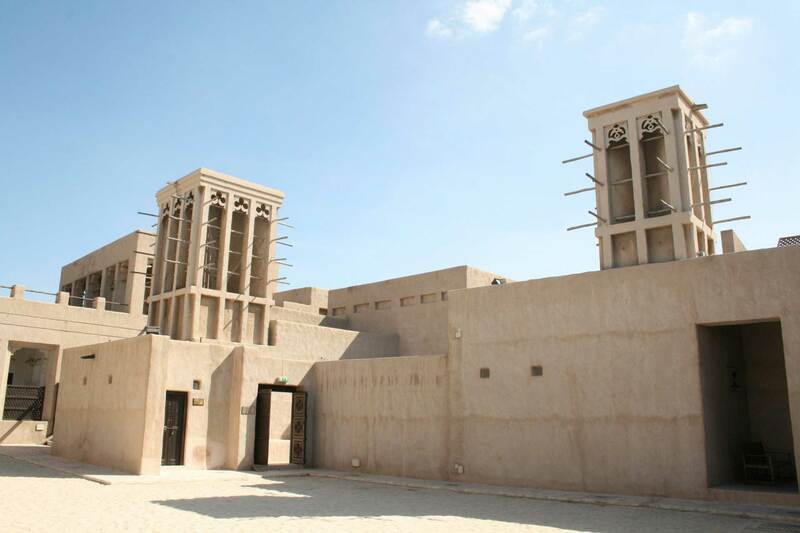 The Dubai Museum is situated in the Al-Fahidi Fort. 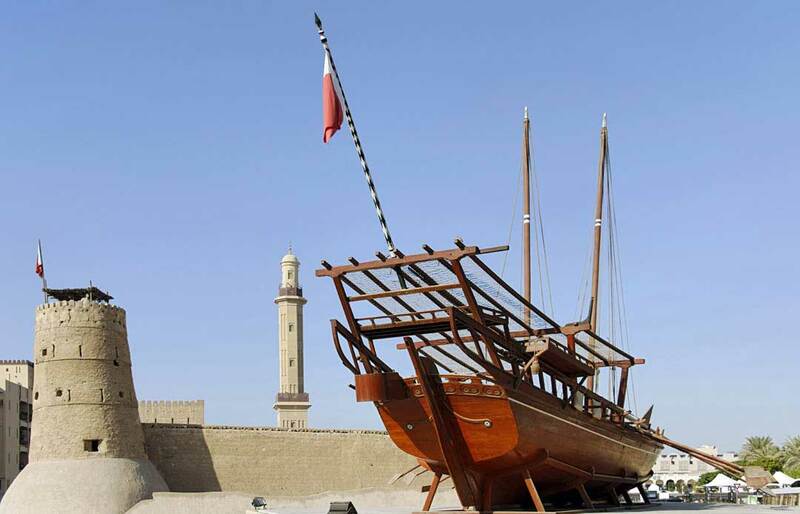 The fort was built in the year 1787 to defend against the enemy troops in the form of Dubai Creek. It is also a great piece of ancient architecture. The walls of this fort are built with traditional coral blocks which many describe a rarity in those days. Several past instances substantiate the fact that this fort has served as the premier residence of the ruling family. 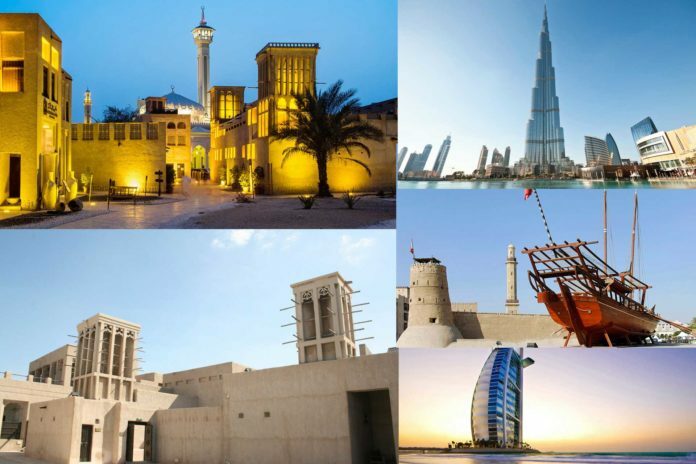 The entrance to this fort is designed with an exhibition of ancient maps of the Emirates and Dubai. The right-hand hall of the museum features weaponry, while the left-hand building showcases musical instruments of the Emirates. The basement of this fort displays artifacts that are over 3000 years old. They show the objects that are obtained from the Al-Qusais archaeological sites. It is regarded as the neighborhood of ancient Persians who migrated to this gulf country to do business with pearls and textiles. As it was the home to many wealthy Persian merchants, the architecture of the houses found in this neighborhood depicts engineering expertise. It is also known as the Al-Fahidi neighborhood. Moreover, it is important to note that many ancient Persians migrated to Dubai due to the presence of tax-free trading at that point of time. 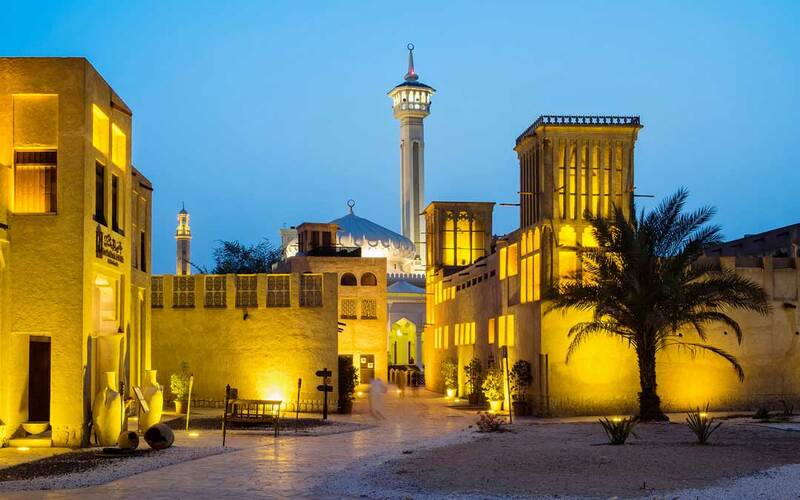 Bastakiya is situated in the eastern portion of Bur Dubai. The coral and limestone buildings are guaranteed to take your breath away. It is sure that you would simply gasp at the architecture of these buildings. One cannot help but to praise the engineering and architectural expertise of workers during that time. Inside this marvelous engineering sample, you can find the Majlis Gallery. In this gallery, there is a vast collection of ancient ceramics used by the Arabs. There is also a large number of Arabic furniture present in the gallery that depicts that the Arabs were quite genius with their carpentry skills. Sheikh Saeed Al-Maktoum was regarded as one of the finest rulers of Dubai. His reign lasted from 1921 to 1958. He is also the grandfather to the current ruler of Dubai. The former leader of this powerful ruler was rebuilt, and currently, it is restored as a museum. The house of Sheikh Saeed Al-Maktoum depicts one of the finest Arabic architectures. The original house was built in the year 1896 by the father of Sheikh Saeed Al-Maktoum. He built this house with an objective to observe the shipping activities from the balcony of the room. One can simply gasp at this fantastic piece of Arabic architecture as the house comprises of gypsum ventilation screens coupled with several geometric and floral designs that can attract the attention of the tourists. There are thirty rooms in this house that are constructed around the central courtyard. The house also possesses wind tower on the top. Inside the house, one can find the huge amount of beautiful old pictures of Dubai. They are displayed to the public in secured display units. Throughout the perimeter of the building, one can find a huge array of maps, letters, and stamps that depict the development of Emirates to a developed country. As it is situated in the Al Khaleej Road, the tourists can easily visit this place as a huge number of transport facilities are available. Deira is situated on the northern bank of the creek of Dubai. 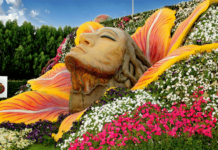 It is attractive to the tourists because it depicts the rich cultural heritage of several nationalities that have settled in Dubai and calls this fantastic place as their home. For tourists, Deira is one of the most favorite spots in the city as it has traditional souks or markets that remain busy throughout the day. It is abuzz with shoppers at all times around the clock. The Deira Gold Souk is a world-renowned market as it has the largest gold market in the world. On the other hand, the Deira Spice Souk deals with the sale of unimaginable spices that includes mouth-watering old spices like saffron, sumac, and paprika. The tourists should also not miss Deira’s architectural gems in the form of the Heritage House and the Al-Ahmadiya School. Both these architectural gems boast a wide array of old designs and patterns that are just breath-taking in nature.